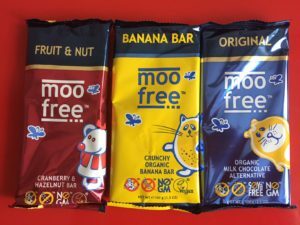 Thank you to Moo Free Chocolates for sending us some great dairy free goodies to give away to one of you! All you have to do is sign up to our newsletter before the end of March 2018. Simply scroll down to the bottom of this page and enter your email in the ‘Sign up for Super Savvy news’ box. We will choose a lucky winner who will receive all three scrumptious vegan choccy bars. Please note – we are only able to post this particular prize to winner in the UK. Good luck! This competition is closed now & congratulations to Vicky from Devon who was the lucky winner. Check out out twitter account and Instagram for more giveaways.